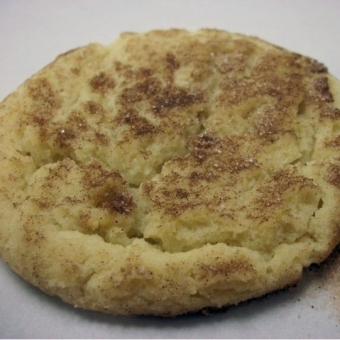 Our Snickerdoodle cookies are a soft chewy cookie that taste like an elephant ear or cinnamon crumb cake in a cookie texture. These are a big favorite for the person who does not want chocolate. Their simple sweet, cinnamon taste will take you back to grandma’s kitchen but better. Size: -- SELECT -- Snickerdoodle Cookie 12 ct.Snickerdoodle Cookie 24 ct.Snickerdoodle Cookie 72 ct.Snickerdoodle Cookie 36 ct.Snickerdoodle Cookie 108 ct.